The World Bank Board has approved a credit of $62 million to implement the second phase of a project which aims at improving urban living conditions in the five largest cities in the country. The project will improve access to roads, sanitation, drainage, street lighting and water supply for the population of Accra, Kumasi, Sekondi-Takoradi, Tamale and Tema. 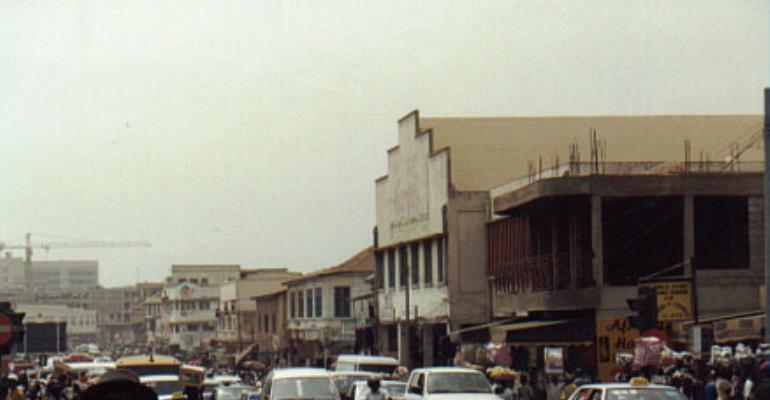 “The target is to address the main infrastructure related aspects of urban environment management while building institutional and financial capacity in the five towns to sustain these activities”, said Gerhard Tschannerl, the World Bank Task Team Leader for the project in a press release issued in Accra, recently. It said the storm drainage component of the project was expected to reduce the frequency, severity and duration of flooding in the low-lying areas of the five towns, notably Accra. According to the release the project will also increase the amount and regulation of refuse collection and of its disposal, including through the construction and rehabilitation of schools, place of convenience and a liquid waste management facility in Accra. “Its implementation will ensure that the population residing or working near the present refuse dumps benefit from better resources internally to sustain these activities”, the release said. It said that the second Urban Environment Sanitation Project (UESP-2) as it is known, advances an integrated approach to urban development, which combines infrastructure provision with capacity building, puts in place systems that are sustainable in the long-term and covers a whole range of institutional, technical and environmental reforms, adding that UESP 2 is a repeater project-the first of its kind to UESP-2 on whose success it builds. According to the release the project is funded by a credit from the International Development Association (IDA), the World Bank's lending arm for the poorest countries. It is provided at the standard commitment fee of 0.5 percent and maturity of 40 years including a 10-year period of grace.